EUROCLIO is proud to present the first educational publication developed in 6 languages, titled “Crossroad of Cultures. Social and Political Changes in the Countries of the Black Sea in the Nineteenth and Twentieth Centuries”. The languages in which the educational material is published are Armenian, Azeri, Georgian, Moldovan, Russian and Ukrainian. The publication is the key achievement of the four-year-lasting EUROCLIO project “Sharing History, Cultural Dialogues“. This publication is made collaboratively by educators from Armenia, Azerbaijan, Georgia, Moldova and Ukraine with the support of EUROCLIO and its project partners. 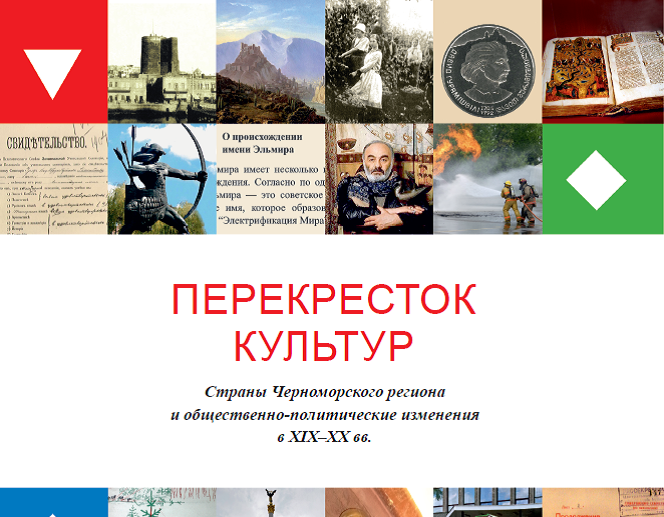 The learning activities in the publication are built around three sub themes: “Cultural Heritage”, “Culture and Politics” and “Family and Everyday Life”. The publication is suitable for the use at the secondary schools as learning activities target age groups ranging from 14 to 18 year old. The publication consists of materials for both students and teachers. The learning activities are designed to make students think critically for themselves and make their own interpretations based on (source) evidence. They provide opportunities for students to learn in ways that are different than the traditional textbooks. In order to engage students in the learning, active methods are used in the different chapters and more methods are included in the teachers’ part. The publication does not provide an analysis or covers all aspects of the cultures and histories of the project countries, let alone the wider Black Sea Region. The topics have been chosen by the authors who also selected the source materials and methodology and were further developed by the editor. It is a demonstration that people with different backgrounds can work together on the use of innovative approaches to the teaching and learning of cultures beyond borders. The digital versions of the publications in 6 languages will be available soon (EUROCLIO owns the copyright of the publication). For questions regarding this publication and the “Sharing History, Cultural Dialogues project”, please contact Aysel Gojayeva (Project Manager).